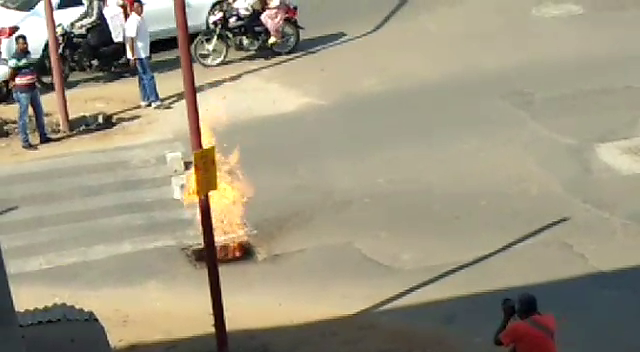 Daily commuters in Vadodara shocked to see fire coming out from a passing gas line near Akota cow circle on Monday. The leakage in the line lead to the fire and gas department along with the fire department doused the fire after reaching at the spot. The incident leads to no gas supply for the 600 odd houses and commercial establishments. The flame comes out from the drainage shocked the passer by and some of them even stop at the point. The fire brigade shut the valve and with the help of continuos flow of water managed douse the flames. Gas department also came to the spot to get access of the leakage and fix the problem. 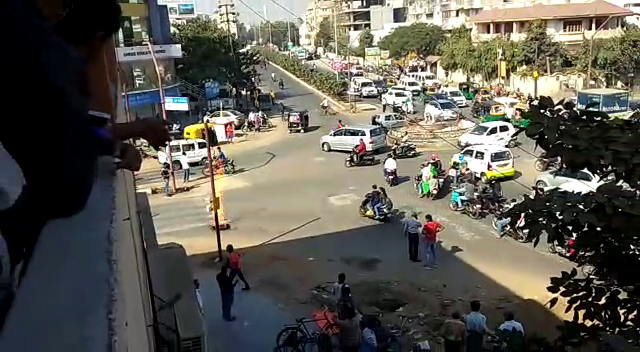 Traffic was also disrupted for some time in the area due to the repair work at the spot. 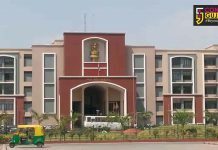 Maintainable incharge of Vadodara gas department Piyush Maachi said the gas line passing through drainage line near Akota circle caught fire on Monday and they shut the supply as of now. They are trying to find out the exact place of the leakage to fix it and will repair it soon. Areas like Akota, Shrenik park, Urmi crossroads towards Taj hotel are effected due to the leakage.